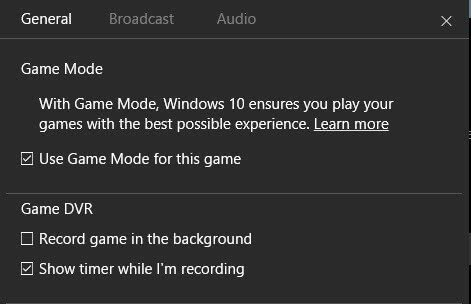 Microsoft launched the first functional version of Game Mode, a game performance improving feature, yesterday with the Windows 10 build 15019 update. After having some troubles getting the update to install on the test machine running a recent Insider Preview version of Windows 10, I finally managed to do so this morning. The core idea behind Game Mode is taken from Microsoft's Xbox One console: prioritize the game over other processes on the device. This sounded an awful lot like what game booster programs for Windows promised the last ten years or so; and we all know that the promises are not really kept, and that you will not notice any improvements in most environments. So, is Game Mode any different? If any other company would have created Game Mode, I'd probably say no immediately. But Microsoft has deeper access to the operating system than any third-party developer for Windows. Note: Game Mode may still be a work in progress. Microsoft may improve the functionality before the final version of the Windows 10 Creators Update is released. Also, how you enable Game Mode may change over time as well. Microsoft added a new Gaming section in the Settings application on Windows 10. One of the available subsections there is Game Mode. You may use it to toggle Game Mode on or off. Doing so enables the functionality, but it does not enable Game Mode for any games you run on the device. Microsoft may enable Game Mode automatically for select games released through the company's Windows Store though. 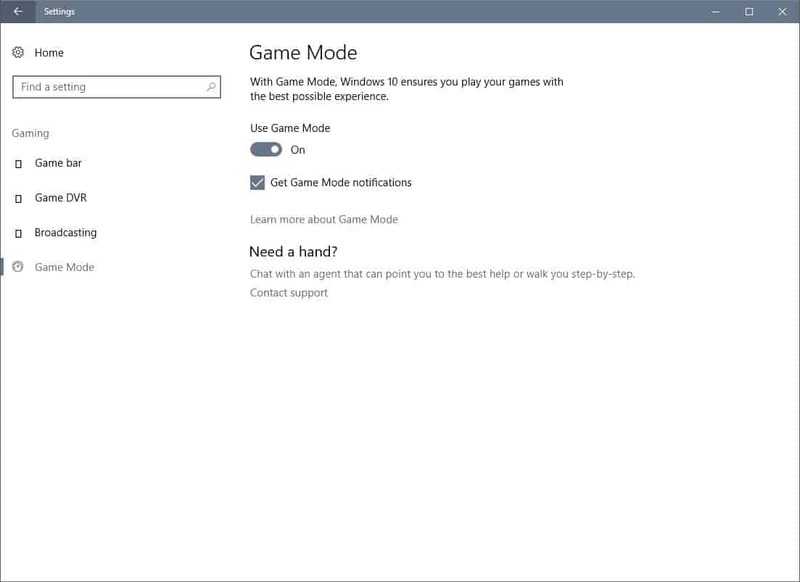 To enable Game Mode for a particular game (or app), you need to use the keyboard shortcut Windows-G to bring up the Game Bar on the screen while the process is in the foreground. It works many times, but may not work for some fullscreen games. If the Game Bar opens, click on settings, and check the Game Mode preference there to enable Game Mode for that application. Note that there does not seem to be any indicator right now whether Game Mode is indeed enabled for a particular process. Microsoft should consider adding the information, or making it more visible if it is there but not that obvious how to display it. As far as benchmarks are concerned, I just ran a couple in a non-scientific way. So, I installed two benchmark games on Steam: Resident Evil 6 benchmark, and Star Swarm Stress Test. Also, I installed Antutut Benchmark from Windows Store. The Game Mode results were quite disappointing, as there was no discernible difference in performance between running the benchmarks with and without Game Mode. I have to admit that I could not make sure that Game Mode was indeed enabled for these processes though. Anyway, the performance did not change in either of the three benchmarks that I ran.Benchmark results were more or less identical as you can see on the two screenshots above. I'm looking forward to seeing someone take Game Mode for a larger test run, maybe with games that Microsoft suggests that would benefit from the new mode. Now You: Did you expect more from Game Mode? 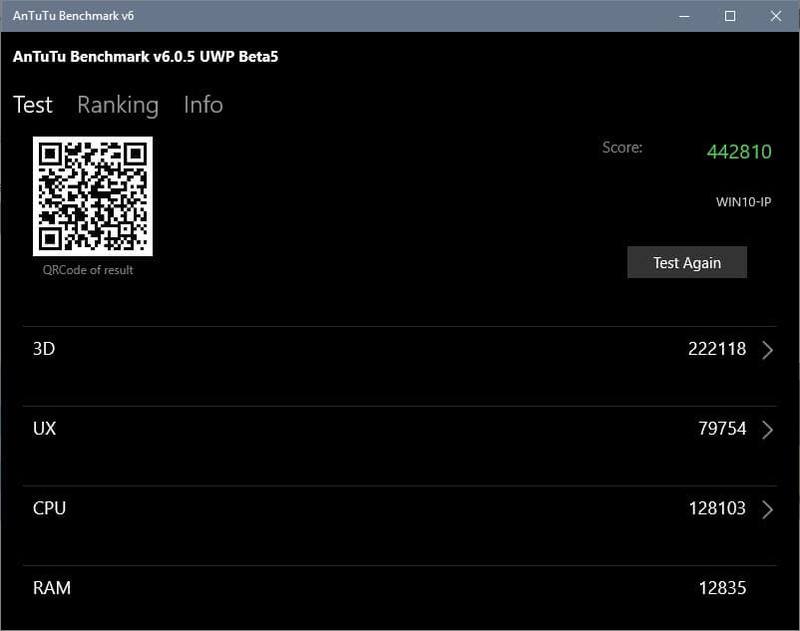 Initial benchmark results of the upcoming Windows 10 Creators Update Game Mode feature disappoint in regards to performance gains. I would imagine the gains would be in borderless windowed and the reason they made it is so UWP (games are in borderless windowed) games perform like exclusive fullscreen games. The best test would be a game like Witcher 3 which you can observe a higher GPU clock to maintain FPS in say Novigrad in borderless vs exclusive. If borderless closes that gap than this is a success. Exclusive Fullscreen should not really show improvement. It already does all this. Also games with more than once process wouldn’t work until whitelisted because Game Mode does not know what they are. I expected it to be snake oil and it exactly turns out to be that. Why does an OS need a game mode now? Does that mean for 30+ years of Windows, they could not do this simple trick to boost game performance? Process priorities have been there since forever. I don’t think anyone with the slightest knowledge on how computers work expected this to be any good, or to do anything at all really. The only thing that you can do with Windows 10 is turn off all the cr.p that’s running in background, set the game’s priority to high and hope that Microsoft Compatibility Telemetry won’t start running in background at the same priority level or an office 365 advert that will kick you out of fullscreen during your gameplay. Process Lasso has ‘Classify as a game’. I’m not a gamer, so I don’t know how well that works. Seems an entirely predictable outcome about which I expect no-one will be surprised. MS are just not good at implementing promising initiatives possibly because progressively their raison d’etre is unclear. 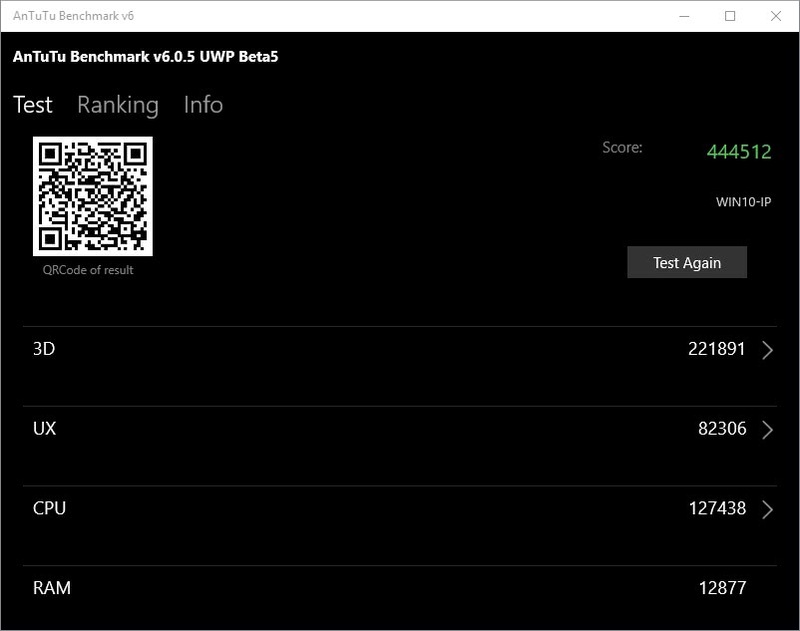 Gaming mode only boosts performance in UWP games on the Windows store. It’s practically useless for the desktop ones. I’m not sure antutu is the best way to test this… where are the games results? Fps, internet bandwidth allocation and less input lag is what matters! Synthetic benchmarks don’t tell me anything. True, I also think the game needs to (at some point) support this to get any benefit from that. The question is OpenGL, D3d games, Vulkan games? There are so many questions. And I hope we get an more in-deep look into it on a tech level to understand it. You need to start a game, use Game toolbar and click into game mode activate. Realy not sure if any benchmark will activate the game mode. From here a run some teste with COD MW3 in a old macbook pro with GTX 330M and not realy a FPS gain, but a consistent in frame rates, now I can play thta game with good 40 / 45 fps and so very much stable. Microsoft has done an incredible job improving DirectX performance. Windows 10 runs my games flawlessly, no lag and no lost frames. I see Game Mode as an attempt to ward off the bloat that comes with time and maintain the performance gains already made.